Haverhill on Broadway?….maybe down the road a bit. The Heartbeat of Haverhill has noticed that lots of people are talking about “Saltonstall’s Trial. One Man’s Defense of the Salem Witches“, a new play by Michael Cormier that takes on Haverhill’s role in the Salem Witch Trials. The play is currently in pre-production with a staged reading planned for November 5, 2017 at 7:30 p.m. in Hamilton. Author Michael Cormier is a Haverhill High School grad who researched his story at the Buttonwoods Museum. The building that houses the Buttonwoods Museum collection was formerly the Saltonstall Estate and the play is produced in conjunction with the Museum. Saltonstall is a well known name in Haverhill. There is even a lake named after the family, though most people in the City use its familiar name, Plug Pond, rather than Lake Saltonstall. According to Wikipedia, Nathaniel Saltonstall was appointed a judge along with six other men to the Court of Oyer and Terminer on May 27, 1692 based on his good works and public standing in the community. He resigned in under two weeks around June 8, 1692, the same time as Bridget Bishop‘s trial and sentence for witchcraft. That decision, though made almost 400 years ago, is a timeless display of honesty, integrity and selflessness. A man bravely stood up for what was legally and ethically right despite the potential peril to his reputation and business. He did not succumb to peer pressure of the highest sort, and had no interest in being part of the hysteria of the witchcraft trials. It was a decision that ultimately derailed his community stature, and alienated him from his comfortable life. The play’s setting includes Haverhill’s John Ward House and Saltonstall Estate, both properties of Buttonwoods Museum. Haverhill’s John Ward was Nathaniel Saltonstall’s father-in-law and plays important role in in story line. The staged reading (no costumes, props, or production elements) is being directed by Myriam Cyr and will be produced on November 5, 2017 at 7:30 p.m. at The Black Box Lab, Stage 284, 284 Bay Road, Hamilton. One night only. Tickets are $10 in advance or $12 at the door. To reserve seats, visit http://saltonstall.bpt.me or call 978-468-4818. The full production is planned for fall of 2018 at Northern Essex Community College’s campus theater in Haverhill. “Saltonstall’s Trial” Author Michael Cormier and Director Myriam Cyr at the John Ward House of Buttonwoods Museum, Haverhill MA. This house figures into the play. The Cormier family moved to Haverhill in 1973 and Michael attended Hunking Middle School and graduated HHS in 1978. He also lived in Haverhill off and on as a young adult, and had a law office here. His parents lived on South Kimball Street in Bradford for nearly forty years. After graduating HHS, Michael earned his BA from Northeastern University and his JD from Rutgers University. He practiced law for 23 years where his focus was family and criminal law. He no longer practices and currently lives in Atkinson, NH. Though he wrote on the side for years, he began writing full-time in 2013. It was always his first love, one he regrets not pursuing full-time from the start. When Michael isn’t writing novels and plays, he is copywriting for small businesses. There is a lot of demand for blog articles, ad copy, brochures and the like. Lately, ghostwriting anything from speeches and essays to full book length projects has become more of a focus for him. At long last, following his passion and dedicating himself to writing is a dream come true! The Heartbeat of Haverhill noted that his major works “Convention”, “Sumner Island”, “Why, Brother, Why”, and “Saltonstall Trials”, on the surface at least, seem to be different genres, and wondered what unites the books and short stories he writes. “Great question! I wrote Sumner Island while I was still practicing law. It turned out to be a stew of some of the subjects I love most: ghosts, the 1920’s era, old resorts and the New England coast. It’s a love story within a ghost story within a murder mystery. Great fun, and people of all ages and genders love it for different reasons. Convention is strictly a love story. It explores the old adage, ‘Be true to thyself,’ in the context of a regretful breakup. In a lot of my stories I like to explore the fallout from making bad choices. Which brings me to the other book you mentioned: Why, Brother, Why? I was hired to do this book with a gentleman who’d been an opioid addict all his adult life and was now in his sixties. (The regretful choices theme again!) But this book is nonfiction, a biography about drug addiction and the horror it leads to. Unfortunately, the gentleman passed away shortly after it was published, which highlights the nightmare of our present opioid crisis. Finally, there’s my new play just now being being produced, entitled Saltonstall’s Trial. As my first play it’s a departure in terms of format, though I’ve worked on short screenplays before. The theme, however, is familiar territory for me: self-doubt caused by a disruption in one’s psychological world. The play takes place during the Salem Witch Trials, but it’s more of a personal play about one man’s struggle to do the right thing in the face of mounting evidence that his lifelong mindset has been wrong. Had The Heartbeat of Haverhill grown up in this fascinating city and learned of Saltonstall at an early age, we, too, would have been obsessed; we certainly are now. THOH can’ wait to see how both Nathaniel’s historic story and Michael’s modern day adventure in play-writing turns out. 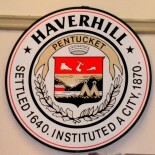 THOH thanks Linda Menzies Greenstein for making connections and encouraging The Heartbeat of Haverhill to write this post. Makes me jealous I don’t live in Haverhhill. 🙂 What a great story to share with people not just another witches story but a real life historical person’s story of regret. I’m guessing he might have felt this. See I’m already projecting my own sense of what must have happened. Not that I’m a fan of witchcraft but I am a fan of taking an opportunity to tell a real story. Great article Alison, I’d expect nothing less from you. Wow Ann thank you. But the real story comes from Michael Cormier’s obsession that then triggered mine. This entry was posted on October 25, 2017 by Brain4Rent/THoH in New Play in New England, Salem Witch Trial Judge Saltonstall, Saltonstall and witch trials, Uncategorized and tagged Alison Colby-Campbell, AlisonsBrain4Rent, Buttonwoods Museum, Convention novel, Linda Greenstein, Michael Cormier, Miriam Cyr Director Actress, Myriam Cyr Actor Director, Nathaniel Saltonstall, new play, Northern Essex Community College, Salem Witch Trials, Saltonstall's Trial play, Stage 284 Hamilton MA, Sumner Island novel, The Heartbeat of Haverhill, theater, THOH, Why Brother Why biography of opioid addiction.